Dave attended Iowa State University where he earned a B.S. in Animal Ecology in 2006. He worked as an ecologist in the Chicago suburbs where he helped manage the restoration of native wetlands. After he and Dr. Lisa decided to open Prairie View Animal Hospital, he decided to make a career shift in which he would better utilize his managerial skills, as well as allow him to work closely with pets and their people. In his spare time he enjoys fishing, following ISU Cyclone sports, and spending time outdoors with his family. Brooke attended Grand View College where she earned a B.S. in Elementary Education in 1996. Brooke taught 4th grade at Prairie City-Monroe for 9 years before resigning to open and operate her own business. Growing up a self-proclaimed animal lover, Brooke made the jump into the veterinary field when she joined our staff as the CCC in May 2015. In her free time, Brooke coordinates the Puppy Up Des Moines Walk honoring her two labs lost to cancer, Gunner and Tyson, pictured. Brooke also enjoys tutoring and cheering on her beloved ISU Cyclones and Chicago Cubs. Christy graduated from Grand View University in 2018 with her BA in Psychology and Human Services along with minors in Sociology and Family Studies. During Christy’s senior year in college, she decided that the psychological and human service careers were not the right fit for her. So, Christy decided to join Prairie View Animal Hospital, as a Care Coordinator, in order to follow a new career path and her long term passion of caring for and loving animals. In Christy’s free time, she loves playing with her dog, Ziggy; going on nature walks; partaking in adventurous activities; camping; and spending time with her friends, family, and fiance, Bryan. Aimee attended ISU where she studied Animal Ecology with pre-vet studies and graduated with her B.S. in 2011. Deciding she wanted to further her knowledge in the veterinary field, she attended the DMACC Veterinary Technician Program, graduating in 2014 and becoming a fully Registered Technician. In her free time, Aimee enjoys spending time with her family and friends, geeking out over Dr. Who, and reading. She also enjoys relaxing with her tabby cat, Butterscotch, and her Corgi, Honey. Amanda attended Iowa Western Community College where she earned her degree in Veterinary Technology and became a Registered Technician in 2016. She gained some experience in a mixed animal practice before deciding small animals are her passion. She then worked at a small animal practice specializing in dentistry for almost 3 years before joining PVAH in August 2018. In her free time, Amanda enjoys kayaking and fishing, hanging out with friends and family, and spending time with her husband, young son, and their border collie mix, Kacy. Megan is a recent graduate from Iowa State University with a B.S. in Animal Science. She was born and raised on a small-town Iowa farm where her love for animals began at an early age. 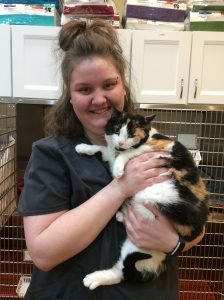 Megan is currently enjoying the “adult life” but is hoping to eventually further her knowledge in the veterinary field by one day going back to school to attend a veterinary technician program, and maybe even veterinary school afterwards. In her free time, Megan likes to cheer on the Cyclones, cook anything pasta-related, and to spend time with friends, family, and her Lab-Mix, Buddy, and the cat, Bob. Kelsey, born and raised in Omaha, NE, attended ISU for two year majoring in Animal Ecology with a minor in Animal Science. 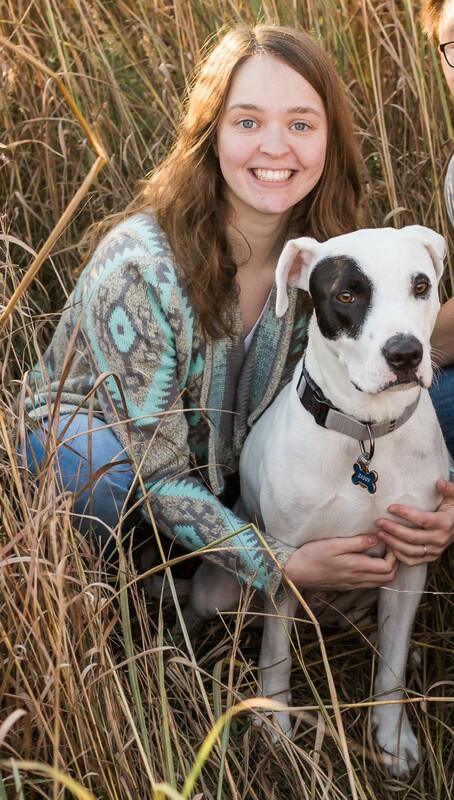 Wanting to further her knowledge in veterinary medicine she decided to switch schools with hopes of attending the veterinary technician program at Des Moines Area Community College. 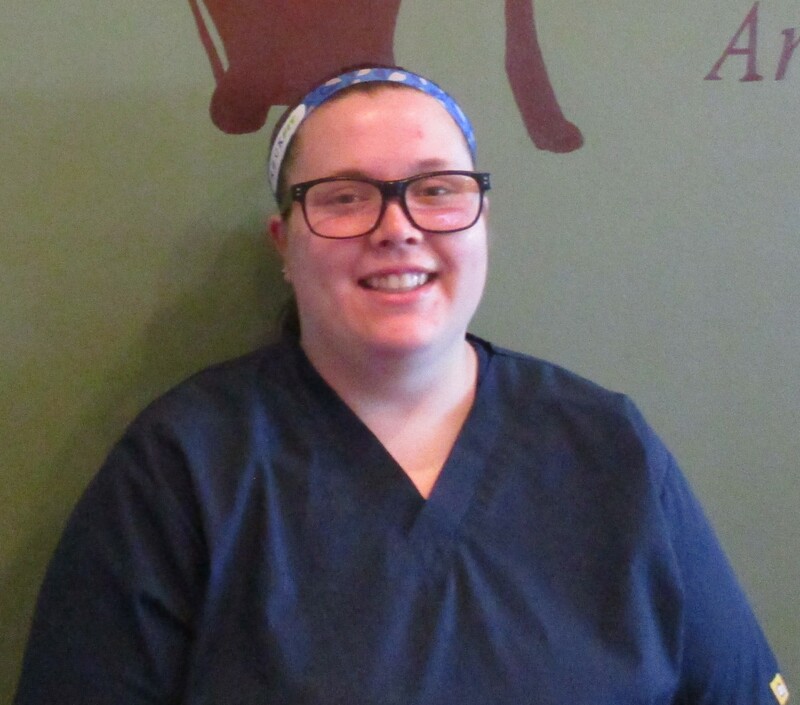 Kelsey is currently in her second year with hopes of entering the veterinary technician program this fall. Kelsey enjoys spending time with her 14 year old bichon frise named Sailor. Leticia is currently an undergrad at Iowa State University majoring in Animal Science and Biology. Through a school-to-work program offered at her high school, she began as a volunteer at Prairie View Animal Hospital in the fall of 2017. She joined the staff here at Prairie View Animal Hospital in the summer of 2018 as a veterinary and kennel assistant. In her free time, she enjoys hanging out with friends and family, as well as her two little dogs named Mya and Milo. 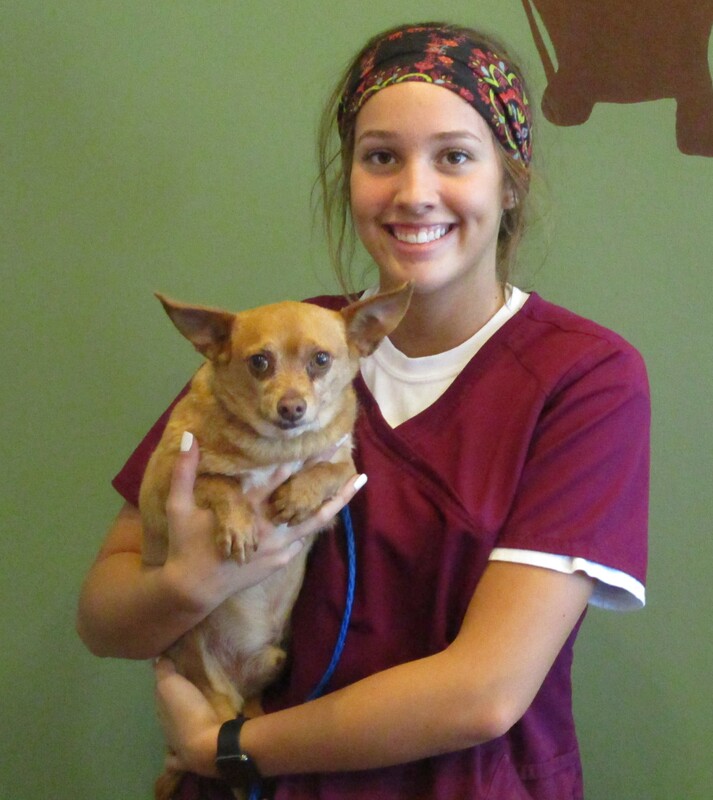 Shyanne is currently attending Des Moines Area Community College as a pre-veterinarian technology student. Her love of animals started at a young age on her grandmas farm. She looks forward to furthering her education and knowledge in the animal field. In her free time, Shyanne can be found taking pictures, watching Friends reruns, reading classic fairy tales, or spending time with her dog, Tuxie, and cat, Gracie.